The island of Martinique, a little off the Venezuelan coast, has long been heralded as one of the best regions in the world for the growth and production of sugar cane. The former French colony maintains many of the distilling traditions of its old imperial power, and creates a unique style of rum known as Rhum Agricole. 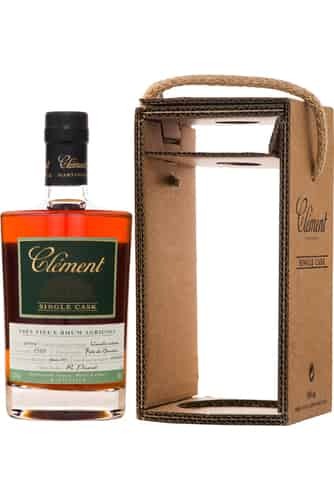 Rhum Clément is widely considered to produce some of the finest examples of this style. During the early part of the 1800s, Martinique grew to be one of the richest islands in the Caribbean, and a centre for sugar cane production and distillation. This continued until the discovery of the sugar beet, a cheaper crop to produce that could be grown in colder climates, undercut Martinique’s main source of wealth. This was coupled with the emergence of South and Central American sugar as a major competitor. The once irrepressible economy was in the doldrums, and a new source of employment and wealth was desperately needed. Then, in 1887, Homère Clément purchased Domaine de l’Acajou, a historic house and lands. At the time Homère Clément was a Mayor of La Francois and a highly respected and popular member of society on the island. Domaine de l’Acajou was thought of as some most fertile land on the island, and it had been seen as one of the most prestigious plantations before economic conditions left it bankrupt. Homère Clément struck upon the idea of pressing sugar cane to make juice, then fermenting that juice and distilling it. He invested heavily in the land he had purchased, to restore it to its former glory, and make it ready to host a distillery. The sugar cane juice he extracted had a more fragrant and grassy quality than the molasses and sugar cane honey more often used to make rum. Homère Clément also studied the methods of the Cognac and Armagnac producers, whose spirit he highly respected. Through mimicking these methods, Clément created the uniquely flavoured rum style, Rhum Agricole. The distillery harks back to its French influence, by following the Cognac style of age statements, featuring VSOP and XO on the bottle. 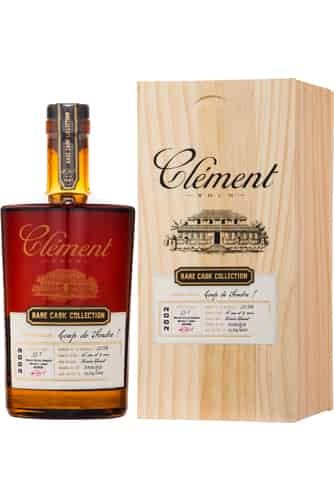 In recent history, Clément has acquired a reputation for outstanding quality, and as a distillery that does things right, producing multiple single cask offerings and specialist vintage rhum. Indeed, they have even released single sugar cane varietal bottles. Rhum Agricole is a uniquely flavoured variety of rum, and a crucial ingredient in many classic rum based cocktails. No rum drinker should go long without tasting some of what Clément offers! Homère Clément purchases Domaine de l’Acajou. Homère Clément responds to an increased demand for rum at the end of the First World War by creating a proper Rhum Agricole distillery at Domaine de l’Acajou. Homère Clément dies, leaving the business to his son Charles Clément. Charles hones the art of Rhum Agricole down to perfect, and can be acclaimed with creating the Clément house-style. He studied distillation as a science at the world famous Louis Pasteur School in Strasbourg, France. Charles began to bottle Rhum Agricole and export it around the world, with the rum carrying the family name. Charles worked tirelessly to develop France as a market for Rhum Agricole, establishing it as an alternative to Cognac and Armagnac (which were still suffering after the blight of the end of the 19th century). Rum begins to be bottled under the name Acajou, which is exported to France particularly. The distillery begins a huge publicity push with the launch of the Clément brand. Charles Clément dies, and his sons takes over the running of the distillery. Georges-Louis Clément handles the production side of things, whilst his two brothers Jean-José and Marcel-André, worked as what would now be called brand ambassadors, promoting the rum and its image in the Caribbean, across Europe, Central and South America, and North America. The Hayot family, another prominent Martinique family, purchase Rhum Clément. They continue a close relationship with the Clément family, working to maintain the key values of the distillery, and the passion of the previous owners. The Hayot family pours investment into the distillery, adding a visitor centre, tasting room, tastefully curated art galleries, and new cellars for the rum to mature in. Martinique is the host for the French-American summit following the end of the First Gulf War. The Clément grounds and big house are named as historic monuments. Rhum Agricole from Martinique is listed as a Denomination of Controlled Origin, meaning that all rum that carries this on their bottle must be from the island. The Hayot family creates the Clément foundation, a library that seeks to document Caribbean culture and life on the island. The foundation now enjoys a high profile at the Clément headquarters, with three exhibition rooms and several warehouses, which house their collection of thousands of documents and objects detailing Martinique life. By 2013, the Rhum is sold across the world, present in over 60 nations.